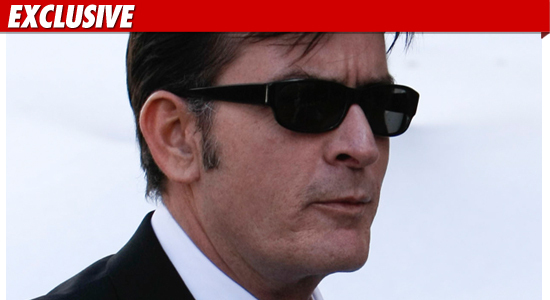 TMZ has learned ... Charlie Sheen's hearing -- where he was expected to plea bargain his criminal case -- will not happen as scheduled on Monday. We've learned the hearing is now on for August 2. What's interesting ... Charlie is due back to begin filming "Two and a Half Men" on August 3. As a plea bargain, we've learned both sides are in deep discussion but no agreement has been reached. It would seem Charlie cannot do 17 - 30 days in jail, because of the production schedule ... at least not consecutively. But again ... we're told no deal has been formally reached.